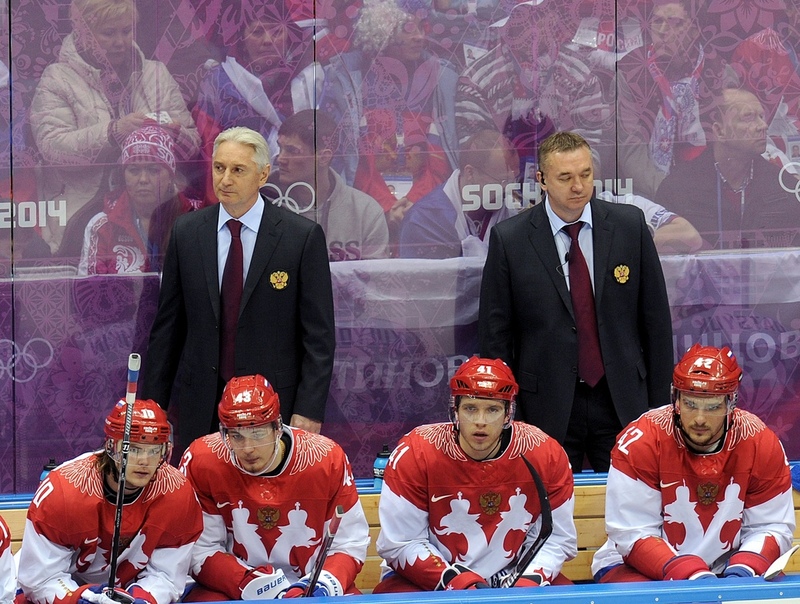 Following our series of Olympic team profiles, we have one more addition – Russia, or the “Olympic Athletes from Russia,” for the politically-correct, and a team licking its wounds after its shock opening-day defeat at the hands of the Slovaks. With the exception of Metallurg pair Vasily Koshechkin and Sergei Mozyakin, all of Oleg Znarok's roster is made up of players from the army teams of Petersburg or Moscow. The team completes the group stage with an encounter against Slovenia on Friday and the USA on Saturday. Magnitogorsk's giant goalie certainly justified his inclusion with some smart saves against the Slovaks,thereby preventing a shock defeat from turning into a catastrophe, and while he will want to swiftly forget allowing the puck through his legs for Slovakia's opening goal, he can hold his head high after the opening day's disappointment. If, for whatever reason, Vasily needs replacing, then Znarok has two superb youngsters to call on, so if the coach wants to think about silver linings before turning in for the night, a glance at his goaltender line-up will suffice. Gavrikov – Voynov, Nesterov – Marchenko, Zubarev – Zub, Kiselevich. The logic behind building a defense around a nucleus of two teams is clear enough, but many were surprised that Nikita Tryamkin of Avtomobilist did not make the cut, particularly after Dinar Khafizullin had to withdraw through injury (his place went to fellow Petersburg Army Man Yegor Yakovlev). The rearguard is certainly not lacking in talent, and yet Slovakia could well have added to that tally of three goals, and might have even doubled it were it not for Koshechkin's alertness. 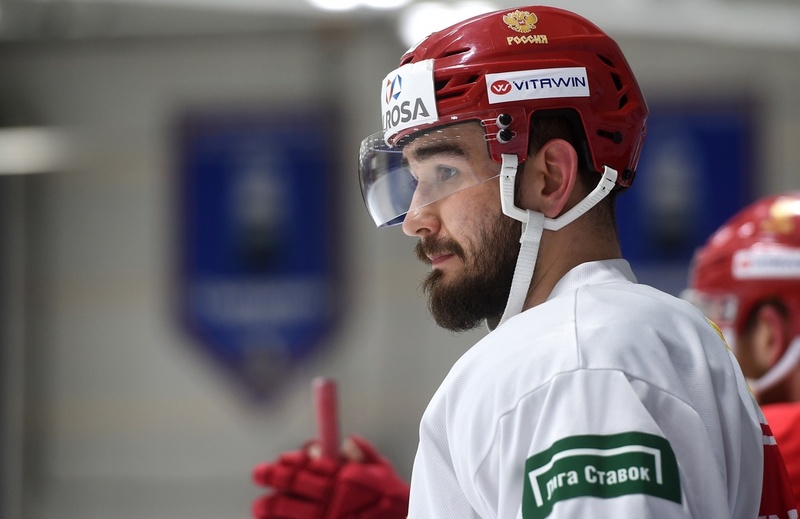 It all started well, with Voynov combining with Shirokov to set up Gavrikov to score an all-SKA goal, and when Kaprizov doubled the lead inside the first five minutes, it seemed the intrigue would be limited to how many Russia would score. 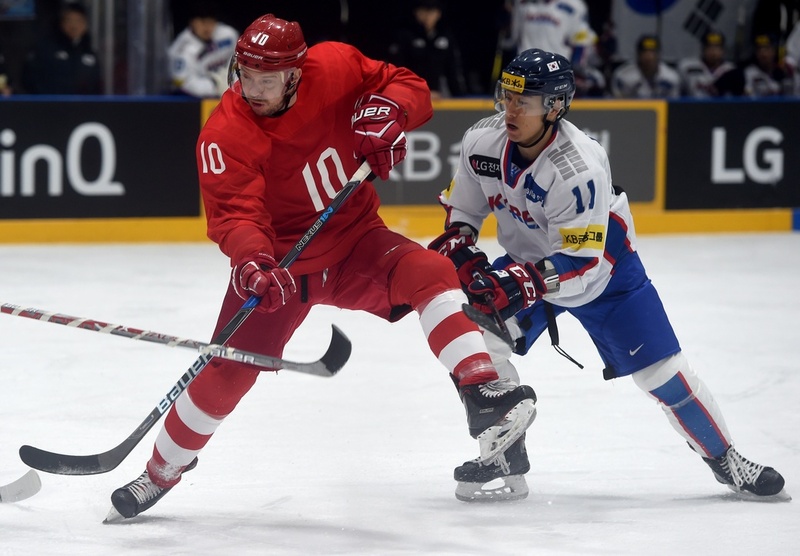 After the game, head coach Oleg Znarok was admirably gallant, saying, “Any mistakes that we made are my responsibility,” and Gavrikov was in stoic and upbeat mood, reminding those with long faces that two wins will still see Russia through. The coach has proved many times in his career that he can instill a high level of discipline in a team, and the defensive lapses must be ironed out in time to face the Slovenes on Friday if the Russians are to avoid being home before the postcards. Ivan Telegin, Sergei Andronov, Mikhail Grigorenko, Kirill Kaprizov (all CSKA), Sergei Mozyakin (Metallurg Magnitogorsk), Pavel Datsyuk, Sergei Kalinin, Ilya Kablukov, Sergei Shirokov, Ilya Kovalchuk, Nikolai Prokhorkin, Vadim Shipachyov, Alexander Barabanov, Nikita Gusev (all SKA). As many predicted, Znarok's starting line had Mozyakin with Kovalchuk and Datsyuk, but for most of the game, and regardless of which offensive troika was on the ice, the team showed a tendency toward over-elaboration. Datsyuk, who saw his shot agonisingly strike the post, was not in denial, and underlined the need to concentrate on the basics and do the simple things right. Kovalchuk paid tribute to Slovakia goalie Branislav Konrad and reminded all that Russia had created more chances than their opponents. After the fall of the Soviet Union, a Russian team has won Olympic gold only once, and that was under the Unified Team banner back in 1992. The previous two tournaments were especially disappointing, with quarter-final elimination in 2010 and again at Sochi in 2014. Kovalchuk and Gavrikov's optimism is based on common sense - sometimes forwards misfire, defensemen switch off, and opposing goalies play out of their skins, and Znarok has enough time and talent to put things right. Slovenia will be brimming with confidence after conquering the USA, so Friday's meeting will certainly be a memorable match – for one reason or another.